7/1/16 - 8/1/16 ~ . 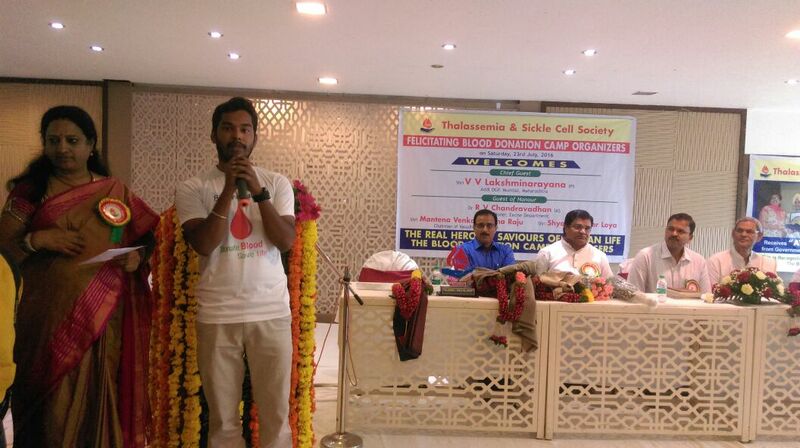 We (ASWA) got Best Blood Camp Organizers award from Thalassemia Sickle Cell Society . we have a great chance to meet VV Laxmi Narayana sir. 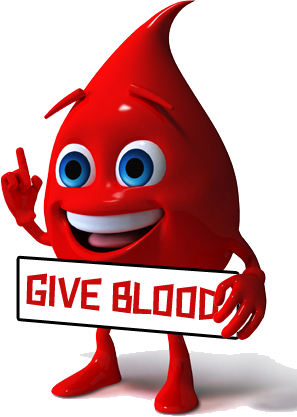 Thanks to All the Blood Donors, with your great support ASWA conducted 23 Blood Donation Camps. This award dedicated to ALL THE BLOOD DONORS OF Amma Social Welfare Association(ASWA). 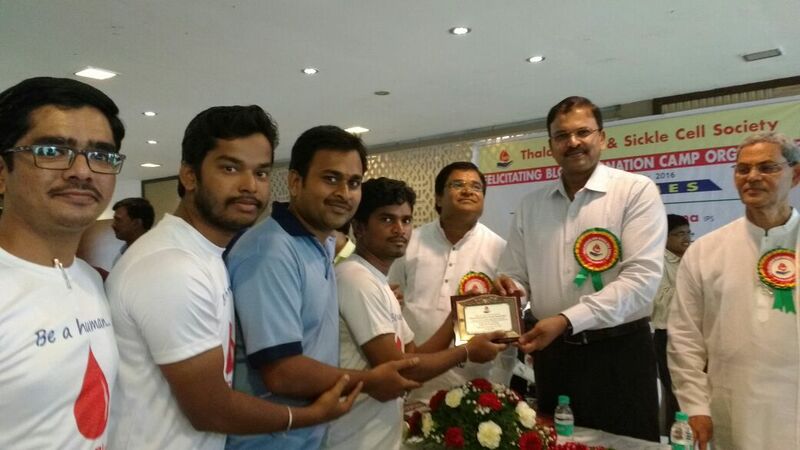 Our Save Life team received an award from Mr. Lakshmi Narayana IPS Addl DGP Mumbai in a function organised by Thalassemia Sickle cell society in appreciation for conducting Blood Donation Camps regularly. Today Thalassemia Society honoured ASWA with a memento. 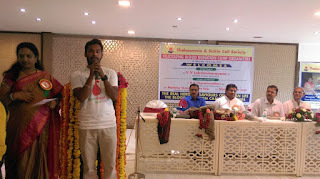 SAVE LIFE team attended and Anil explained our activities too. I am very happy to say to that this year we have successfully completed our regular weekly session at GBES school, Balkampet. Around 30 sessions were conducted this year with different activities. Now the time is to distribute awards to the best performer for this year on various activities. So we are distributing annual gifts to them on march 14 2016 (Monday) from 12:00 noon to 2:00 pm. Please do participate in this event and make this event a great success. Opp. to nature cure railway station. 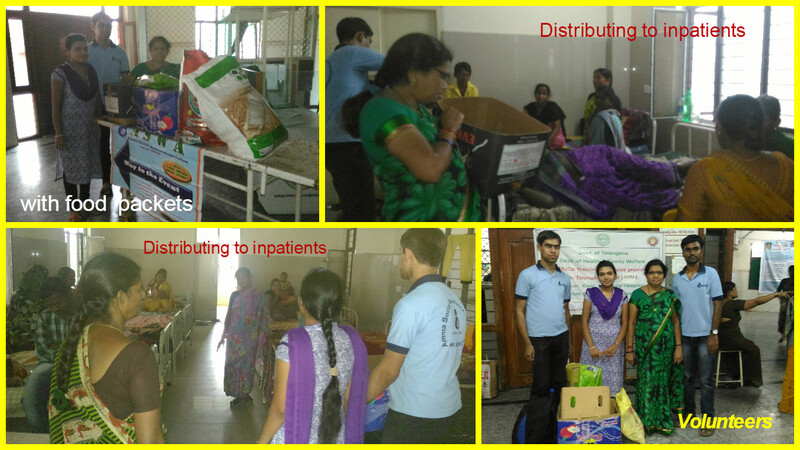 అన్నం పరబ్రహ్మమ్-Food Distribution @ Govt Maternity Hospital , Koti On 20th June (Monday),2016, Hyderabad. We successfully completed Food Distribution at GOVT Maternity Hospital on June 20th. This Food Distribution sponsored by Mr. Desu. Girish and Our special thanks to him for sponsoring. We distributed 170 packets of chapathi and Daal curry along with one Pomegranate fruit. To conduct this distribution we spent 5,100 RS and through this distribution 170 in patients benefited. With the help of women volunteers we serve food to inpatients at their beds only. As part of 'Annam Parabrahmam project' on every 3rd Monday of every month, we conduct food distribution at Govt Maternity Hospital Koti, as well as on every Sunday at GOVT Hospital , Ananthapuram. We are going to conduct food distribution for this month on 20th June,2016(Monday). 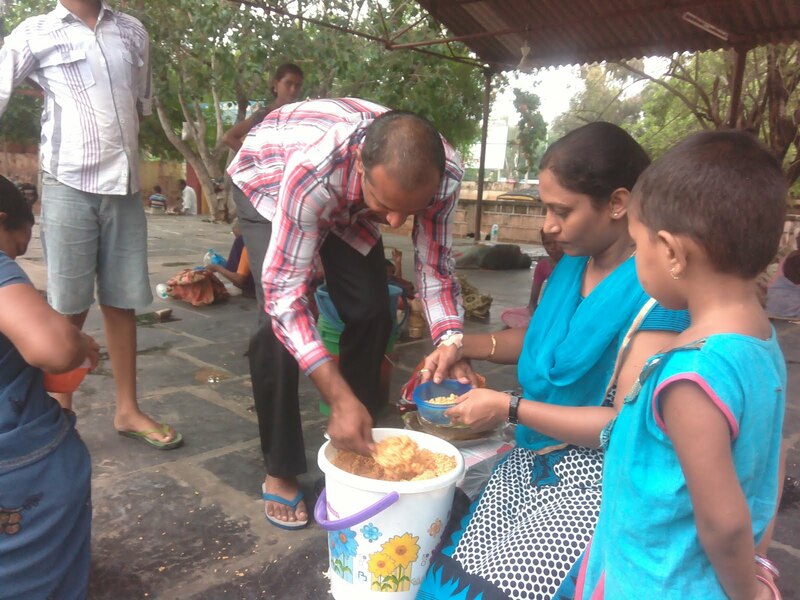 This food distribution is sponsoring by Mr.Girish Desu in the name of his father Mr. Desu Srinivasa Rao. Venue : Govt Maternity Hospital, Koti. Address : 🏩Govt Maternity Hospital, sulthan Bazar, Opp Koti womans college, Koti. Interested please ring ☎: Dhanesh 7893451007 / sarath Chandra 9700546866 / Dhana Lakshmi 7842678879 / 📞ASWA help line9948885111. I really must express my gratitude for the help you all have done for the successful completion of SRUJANA Magazine. I thank all the volunteers for spending your precious time and for the support you have given us. Your patience is more appreciated. Most importantly it will be very useful for the children and surely they will feel happy after seeing our SRUJANA. 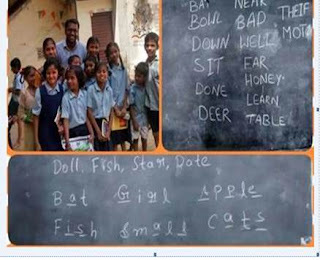 SRUJANA is the result of the hard work which we have done so far. We are sharing the sample document in this mail and the original document will be shared after the release of SRUJANA in schools. 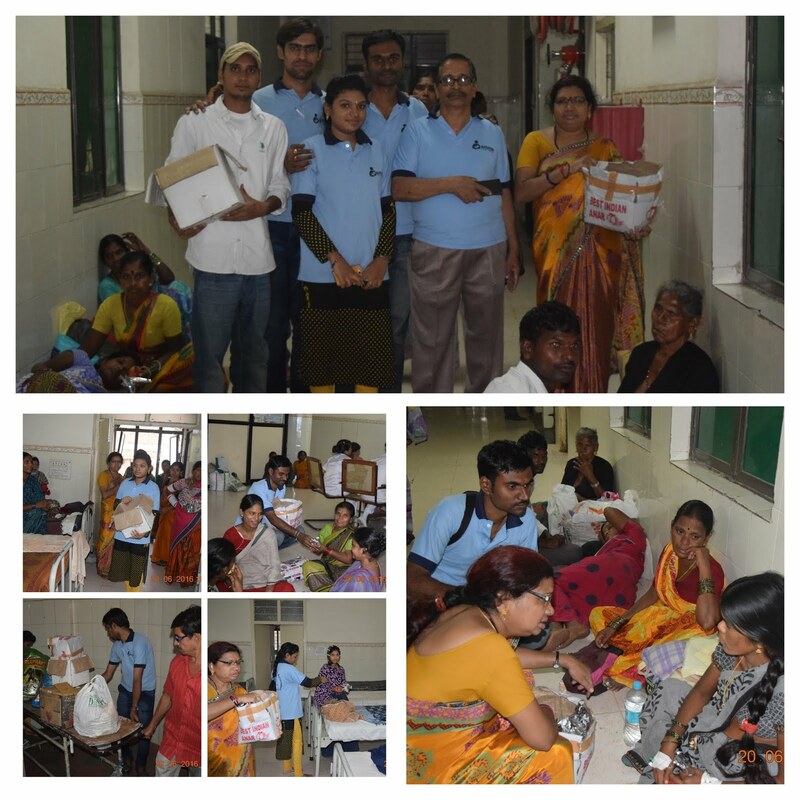 Monthly twice we are conducting Food Distribution activity in ATP Govt Hospital under Annam Parabrahmam project. 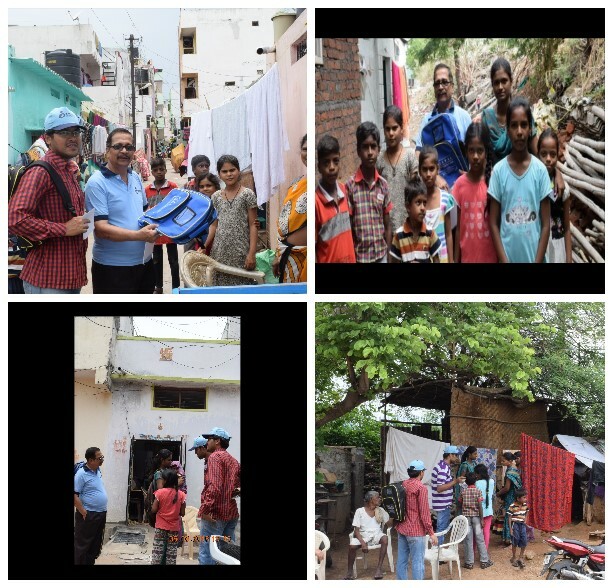 In June 2016 We successfully completed food distribution activity on 5-6-2016 and 19-6-2016. 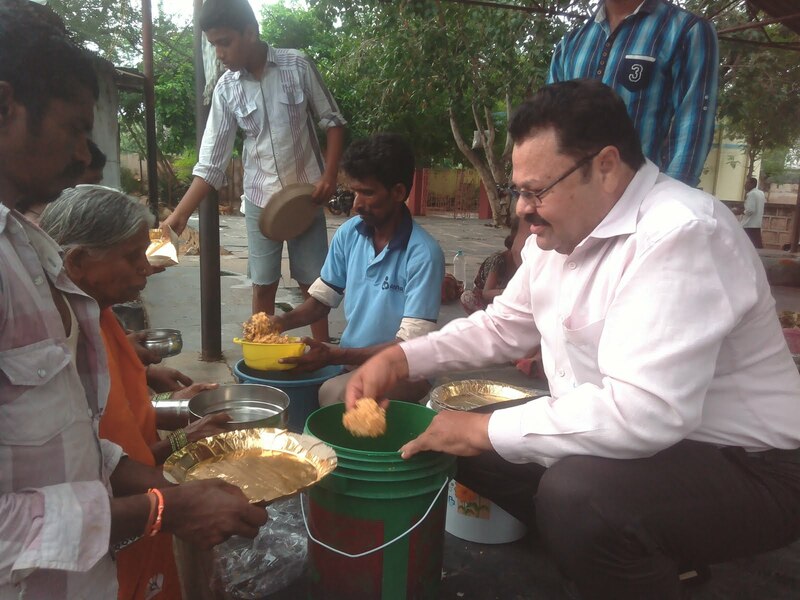 We distributed Tommotto Rice and Veg Pulav to 140+ needy people each time. we invited Sri. Jayachandra Garu(Ex-Army) as guest for this activity. He felt very happy and inspired for our serving activities. He appreciated me for doing same at this age. Thanks to Jayachandra garu and Kamal nath Anna family for joining with us. With the help of Donors and Volunteers, we have been successfully conducting Regular Sessions in Govt. Boys Elementary School(GBES), Balkampet from the last 4 years. This year 2016-17 also we are continuing our efforts with more enthusiastic and dedicated volunteers team. 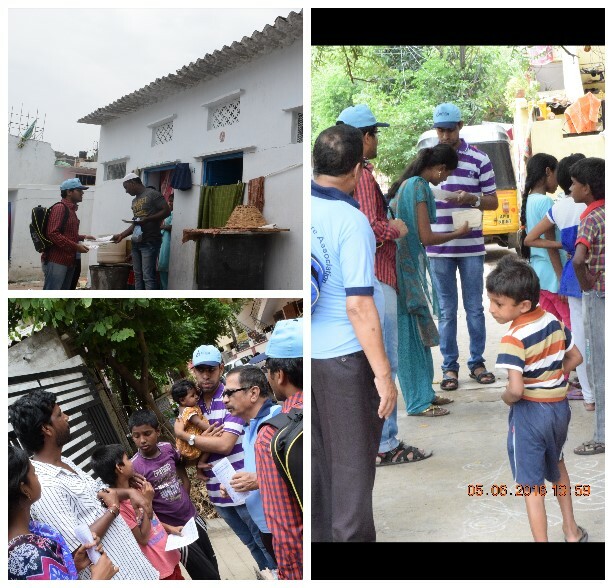 we started our sessions with slum visit on 05-06-2016 to rejoin dropout children and encourage children to continue their studies and also to motivate parents to send their children to school. A survey was conducted in the slum from 10.30 AM to 2.00 PM. Intimated current changes in the education pattern such as CBSE syllabus, providing tuition and free meals. We, ASWA, will distribute Bags, Shoes, Books & Stationary to children. 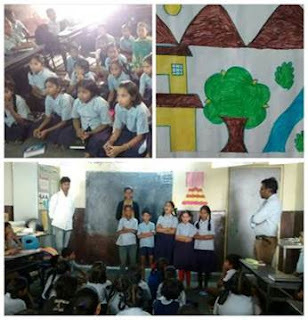 8 school children actively participated and helped us to visit all houses to motivate parents as well as children. Please provide your any suggestion regard this. For more details please contact Dhanesh on 8885290990 or Haritha- 9949789229. 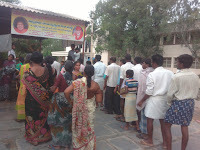 Food Distribution @ Govt Maternity Hospital , Koti (అన్ని దానములలోకన్న అన్నదానం మిన్న) On 18th April (Monday),2016, Hyderabad. 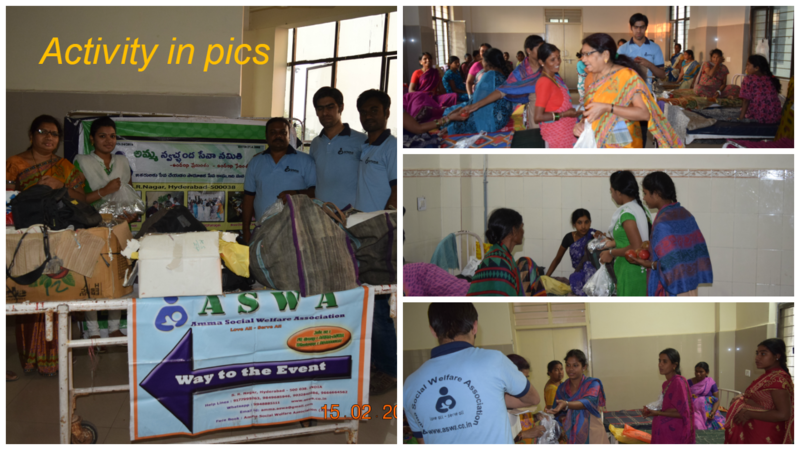 we successfully completed food distribution on Arpil 18th, at Maternity Hospital, Koti. On that day we distributed 170 packets of chapathis and Dal curry packets worth of Rs 20 each and one pomegranate fruit worth of Rs.12. With our food distribution totally 170 members of inpatients benefited and spent Rs 5,300 to prepare food and purchase fruits. Currently we are getting chapathis from a food contractor, who is supplying to companies in and around of Hi-techcity. With all your support and kind donations we are successfully 👍and uninterruptedly🙋 conducting Food Distribution at Govt Hospitals in Hyderabad and Ananthapuram. As part of Annam Parabrahmam project on every 3rd Monday of every month, we conduct food distribution at Govt Maternity Hospital Koti, as well as on every Sunday at GOVT Hospital , Ananthapuram. We are going to conduct food distribution for this month on 18th, April,2016(Monday). Address : 🏩Govt Materninty Hospital, sulthan Bazar, Opp Koti womans college, Koti. Interested please ring ☎: Dhanesh 7893451007 / sarath Chandra 9700546866 / Dhana Lakshmi 7842678879 / 📞ASWA help line 9948885111.